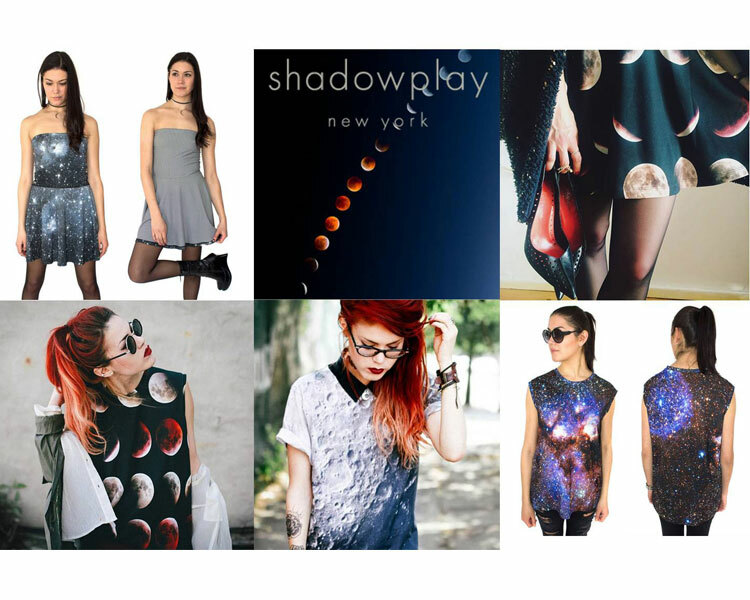 We are beyond excited to introduce our newest space-crazed fashion discovery to Details… where fashion meets technology—shadowplay new york. This kitschy space inspired brand featured in Oprah Magazine this month, digitally prints their fabrics with real images from NASA’s Hubble Telescope, capturing vast networks of gas clouds, star clusters and most popular…the blood moon. Based out of Brooklyn, the two Parsons graduates, Ali Bennaim and Zimena Chouza began the brand over their shared love of the beyond. Everything is produced and sourced locally and they aim to remain an environmentally conscious clothing label. These tees, tanks, dresses and accessories are making us starry-eyed… we are so excited to mix, match and layer these photographic works of art into our wardrobe! Perfectly suited under a leather jacket or with your favorite pair of denim, stop by and marvel this digital, wearable art for yourself!